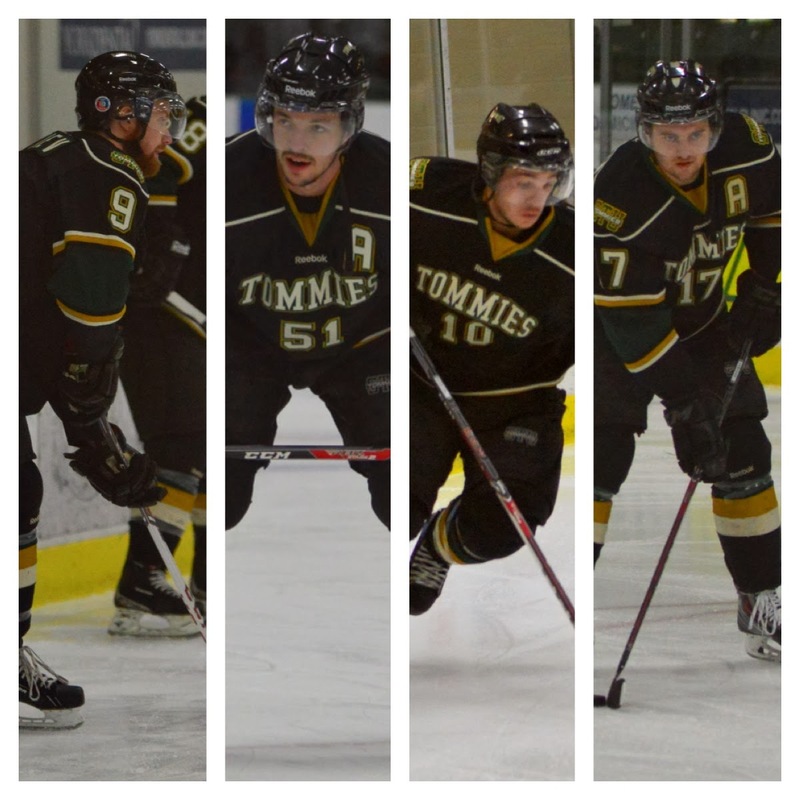 ﻿ This weekend, are the final games of the regular season for our Men's Tommies. The St. FX X-Men are coming to the Elm City to face the Tommies on Friday night at the GHC for a 7pm start, while the Saint Mary's Huskies roll in on Saturday night for a 7pm face-off. St. FX has had two wins over the Tommies this season with STU taking one game from them right before the Christmas break. All three of the games played to this point have been close separated by one and two goals, with one going to overtime. On Saturday evening, the Tommies are going to be celebrating this season's crop of graduating players, forwards Jonathan Bonneau, Yuri Cheremetiev, and Randy Cameron along with defenseman Sebastien Bernier will be playing in their last game as a Tommie. The guys will be facing the Saint Mary's Huskies, a team that has had the number of the Tommies this season. The lady Tommies will also be playing their final game of the regular season as they prepare for the playoffs, the ladies are playing in Sackville, NB on Saturday when they face-off against Mount Allison at 3:45pm. The Tommies have won two of the three games against the Mounties. The ladies have not played against the Mounties since before the Christmas break, STU have won four of their last five games with a heartbreaking shootout loss last Sunday afternoon against the Huskies while the Mounties look to end a three game losing skid, against our Tommies. Come on out and cheer the guys on especially the grads as they prepare to take the next steps in their lives. If you are unable to come to the game, please tune in on AUStv.ca as well as follow @STUTommies on Twitter for in-game updates.